Fiat could increase its ownership stake in Chrysler this week. Eventually, Fiat hopes to own a majority of the Detroit automaker. In 2009, the federal government agreed to give Fiat 20% of Chrysler in return for taking over management of the Detroit automaker. The deal also set up incremental steps by which Fiat could reach 51%. 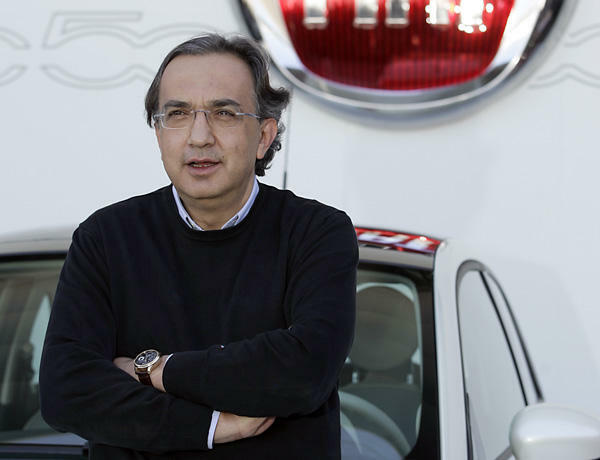 Fiat CEO Sergio Marchionne says he expects Fiat’s stake to grow to 30% this week, after meeting a requirement to increase sales of Chrysler vehicles outside North America. Fiat still has to pay back seven and a half billion dollars in loans to the U.S. and Canadian governments before it can gain a majority interest in Chrysler. Chrysler has been owned by a foreign company before – Daimler, from 1998 to 2007. Chrysler made the case for its self-proclaimed "resurrection" at the North American International Auto Show. The company put on an optimistic show as it debuted 16 new Chrysler products. The automaker had only a bare-bones presence at the auto-show last year.